Bluetooth speakers are a dime a dozen. I suspect when we head to Las Vegas in January for the 2015 International Consumer Electronics Show, I’ll personally come home with 50 different Bluetooth Speakers. But really, most of them are the same. When it comes to Bluetooth speakers most of them have the same shape, the same feel and the same crappy, buzzing sound. When you’re looking for affordable Bluetooth speakers they all have that coned or rounded look and they really look silly. There’s not much you can do with a Bluetooth speaker. It’s functional right, you want to hear your audio amplified, you sync your device to a Bluetooth speaker. 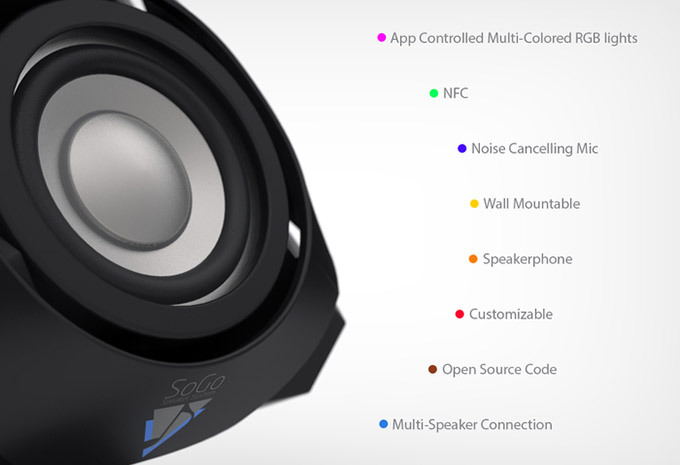 SoGo Mini is the first customizable Bluetooth speaker. You can customize the look of your SoGo Mini speaker, you can fasten it to just about anything, and it even features changeable mood lighting making it more fun, more interactive and more personal. 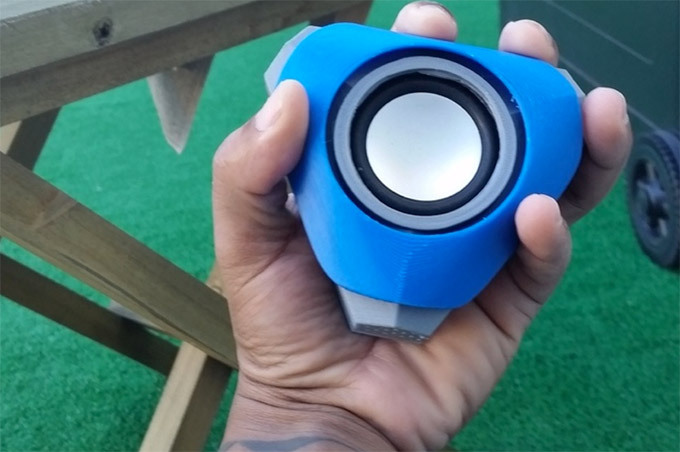 Now I know you’re probably thinking, personalized customizable Bluetooth speaker, WTF. Well think about what Mimoco and Mimobot did for the USB flash drive. Flash drives are really not very exciting but with customized flash drives in your favorite designs, colors and super heroes, now that was something cool and something you would remember to take with you. See that’s the real problem when it comes to Bluetooth speakers, and trust me I’ve got hundreds of them. You like one and then you forget about it. You leave it by the bed, in a junk drawer or on your desk. Then you’re sitting somewhere where you really want to hear music and bam you don’t have a speaker with you. If it was more you, chances are you would take better care of it. “The main speaker of SoGo Mini is actually a mini sub-woofer. Its length of 50mm enables a tremendous sound experience. The sub-woofer technology is a great asset here, converting the vibration sound waves into a sound that is being increased and an enjoyable bass on any object SoGo Mini is placed upon. This is a product of the bone conducting technology which provides great quality in terms of hardware material that the speaker is built from.” The company says on their Kickstarter page. “Aiming to create the speaker that would please a wide range of tastes, our team designed theSoGo Mini speakerin several prototypes with different kinds of materials and designs. From that point we can assure the audience that we found the key features to this product and made it high-quality and practical to use. With the customizable effect added, it proves an experience of top-level product.” Richard White the creator of the Sogo Mini Said.